It’s somewhat fitting that I’m sat writing this week’s Ladybird Tuesday in a cafe on the island of Jersey (much more on that soon), because this week’s Ladybird Tuesday book choice is Islands from the Ladybird Leader series, number 737. 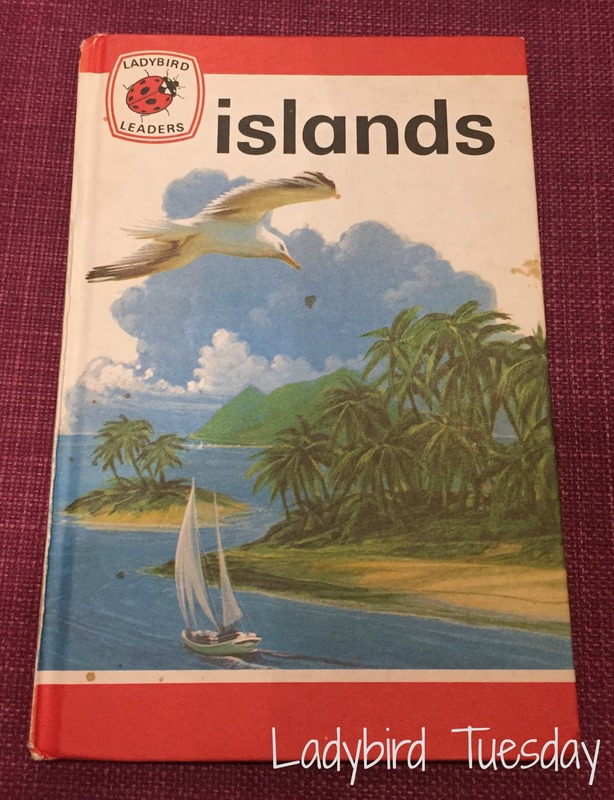 Islands was one of the later titles in the Ladybird Leader series. A series which covers things as diverse as song birds and trains. Sounds and teeth. 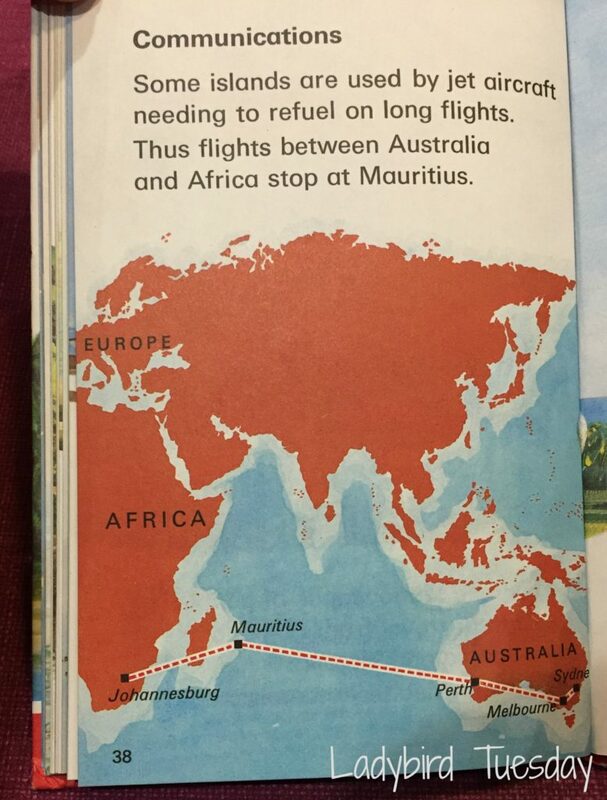 The aim of the series was to meet the “very real need” for “first information books” for children. Ones which help answer some of the questions that children have, whilst also encouraging reluctant readers. The book starts with looking at what an island is, and how different types of islands are formed. This could be either from breaking off from an original larger land mass, ones formed from volcanoes, or coral islands that have grown. 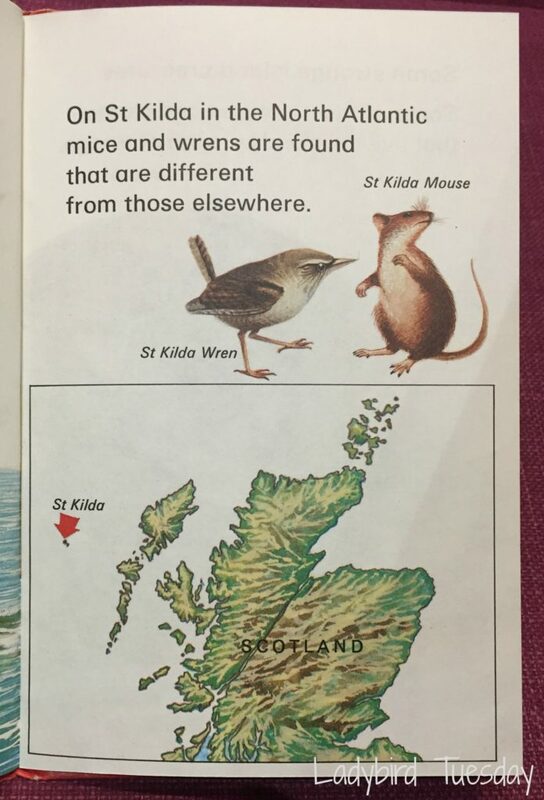 Pages are devoted to the different creatures that make islands their home, and the nature on the islands. Some birds and animals have the ability to move between islands, either by swimming or through flight, and it can be interesting for scientist to track where these creatures travel to, and how long it takes them to do so. Other creatures make just one island, or group of islands, their home and in some cases their ability to do certain things has changed over time as a result of only living in one place. The nature on some islands is so special that the islands have been designated as places that need to be preserved and protected, to ensure that the sad fate that has befallen some island dwellers like the Dodo, does not repeat itself. I’ve always had a fascination with islands and would love to set myself a challenge to visit more of the many islands that make up the British Isles. 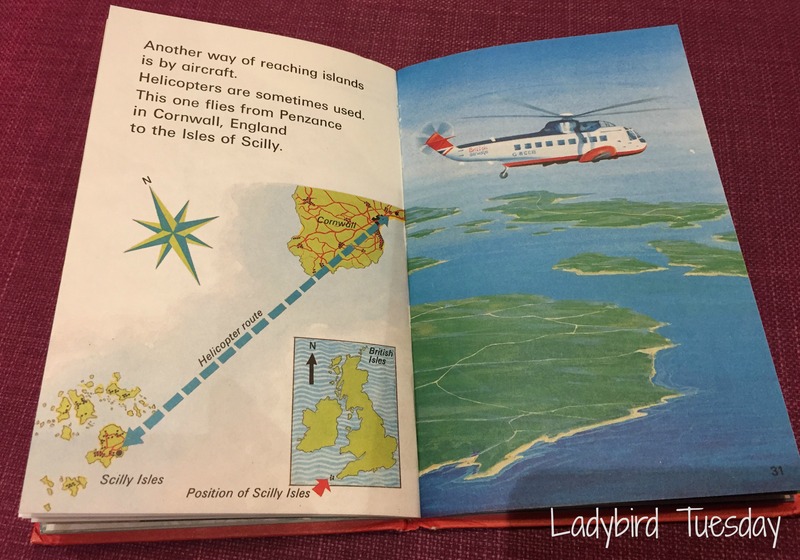 I’m not the only one fascinated with island travel though and this Ladybird book talks about how people travel between islands, either by boat, plane or even helicopter. Some islands are so remote though that there can be months between the mail arriving or other goods being delivered. How islanders make a livelihood depends greatly on where in the world they are. For some the obvious ways or fishing, or farming, but in some parts of the world tourism has developed and overtaken more traditional industries. It is still the case that some islands play an important role in modern communications by having cable or radio stations. Others are regularly used by airlines who fly long haul routes and need to refuel en-route. The book ends with telling the reader about some famous islands around the world: Easter Island with its mysterious statues, beautiful Bali and the ancient monastery site of Mont-St-Michel.